Samalite rechargeable floodlights are a uniquely versatile maintenance-free lighting system, designed for professional and general use. Samalite provide some of the most Powerful, Compact, Ultra-lightweight LED Floodlights and hands-free portable lighting products available today, using the latest state of the art LED and environmentally friendly Lithium-Ion Battery technologies. Samalite flood lights are rugged, IP65 rated fully weatherproof, heat, water and fuel resistant capable of illuminating large areas with long run times ideal for Industries and professional users including the MOD, Utilities, Police, Air Ambulance, Rapid Response Units, Search and Rescue, Railways, Security and Maintenance Services, Forensic crime scene investigations, leisure and general use. Designed to replace Generator powered Site lighting! Designed to light large areas to work by! Designed where weight is crucial or carried long distances by foot! Designed for Standby Emergency room lighting and General lighting needs including a useful 12-volt power output! 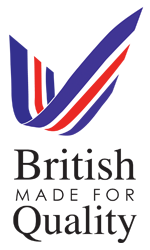 All Samalite products are designed and manufactured by SMP ELECTRONICS in the UK since 1994. We also provide a full overhaul service and spares for all of our lighting products.